As the rest of NYC gets glitzy and glammed-up for their NYE endeavors, I write to you in a perfectly-content state of mind (from my couch in jeans and tee, mind you) about my 2012 New Year’s Resolution which is to include more spurts of spontaneous travel spread throughout the year. All of my life, I’ve considered myself to be a pretty spontaneous, adventurous and outgoing person. I love the thrill of a new challenge, exploring the unknown (traveling), and I will take up any opportunity to be social in a new environment. Unfortunately, I’m sure many can relate to this next statement: when you find yourself in a relationship, you sometimes can get [too] comfortable with staying in, being cozy, and enjoying just each others’ company. There’s absolutely nothing wrong with that lifestyle, and believe me, I thoroughly enjoy snuggly moments, but somewhere in the mix of that you can start feel like you’re about to lose your true self. The reason why I’m making it imperative to include more “spontaneous” travel into the new year is because I want 2012 to be a year of growth, and I want to regain my independence; throughout life, I’ve learned some truths within, and one of those is that I firmly believe that traveling and the exploration of other human surroundings is a key to understanding the essence of life. So while Kevin is away on business throughout 2012, I will make it a point to travel solo, with friends, and maybe even soon-to-be friends with a similar perspective and interest in traveling. My first spontaneous travel will be a road trip with another actress/long-time friend/coworker of mine, Tiffany. 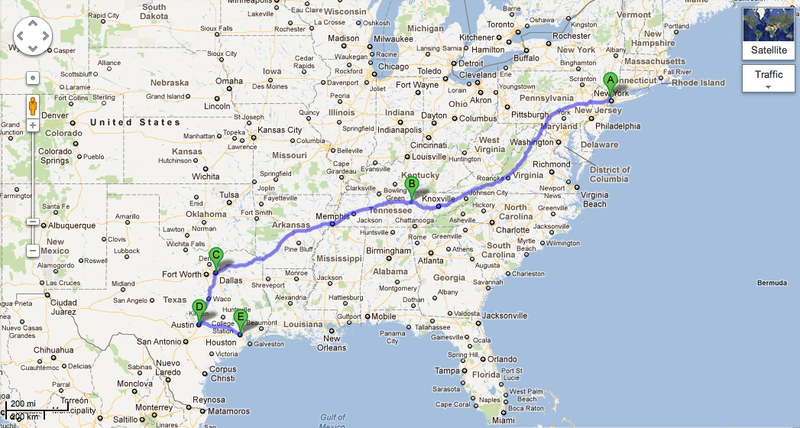 We plan to drive to Texas (Dallas, Austin, & Houston), while spending time during our “stopover” in Tennessee. I’m really excited for this upcoming trip. 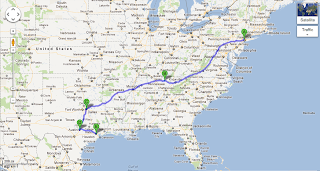 I have never taken a road trip like this by myself or with friends before, and I have an amazing friend/foodie who is helping me plan all the nooks and crannies (Shout out to Dave if you’re reading this!). Trying all of the best southern BBQ joints along the way (pulled pork and beef brisket are two of my favorite foods). As you can see, dieting is not on my resolution list, and I’m quite OK with that. Documenting my hotel stays along the way (hint: the majority of our stays will be at Club Carlson properties, and you’ll soon find out why. Also, I might integrate a Wyndham Rewards stay in the mix somewhere). Taking cheesy tourist pictures along our way, buying state-shaped magnets, and singing along to CDs that may or may not include the Spice Girls. Most importantly, I’m excited about the memories that await us! Be sure to keep an eye on my “planning in progress” tab over the next few days as I will share the details of the trip. Do any of your 2012 resolutions involve more travel? If so, I’d love to hear about them! All my favorite road trips involve spice girls!